Bridget Beth Collins, or @flora.forager as she is known to her 213,000 Instagram followers, is the creative talent behind Flora Forager ABC (Sasquatch Books, $14.99), her first children’s book (for ages 2–5 years). On its pages are animals and other creatures that she has meticulously fashioned from individual petals and other found flora for every letter of the alphabet. Collins previously released two journals decorated with her creations as well as a compilation of her best works with a short explanation for each. A mother of three who began posting her “portraits” in 2014, Collins seems to be having success in achieving one of her goals: to inspire young readers to get outside and look around. 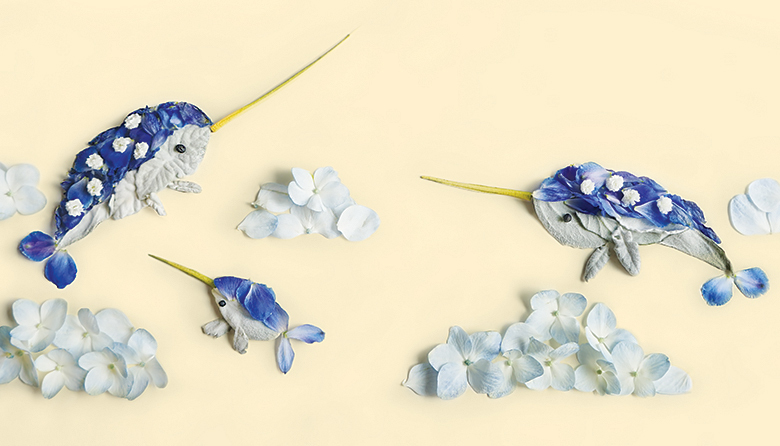 “I get a lot of images from parents of their child creating images with flowers after seeing my art,” she says.